(Madison, WI). Today the US House of Representatives passed HR 6784, the “Manage Our Wolves Act” despite public opposition from constituents, scientists, hunters and business owners. HR 6784 removes all federal protections for all wolves in the lower 48 except the Mexican gray wolf. This legislation threatens the long term recovery of endangered wolves and throw them into the hands of trophy hunters nationwide. The bill excludes opportunity for judicial review — a blatant attack on the very checks and balances at the core of our democracy. It would permanently deny citizens of the right to challenge delisting in court, even if state management plans go awry. Britt Ricci, who lives in Congressman Sean Duffy’s district feels this is a bad move for rural Wisconsin residents. “Congress will tout this as a victory for wolves, but nothing could be further from the truth. As soon as wolves lose federal protection in Wisconsin, they will be subject to inhumane trapping, snaring and hounding seasons with aggressive quotas that put them in an endangered status to begin with. The Wolf Advisory committee under Governor Scott Walker, blocked scientists and pro-wolf voices outside of the DNR from participating. 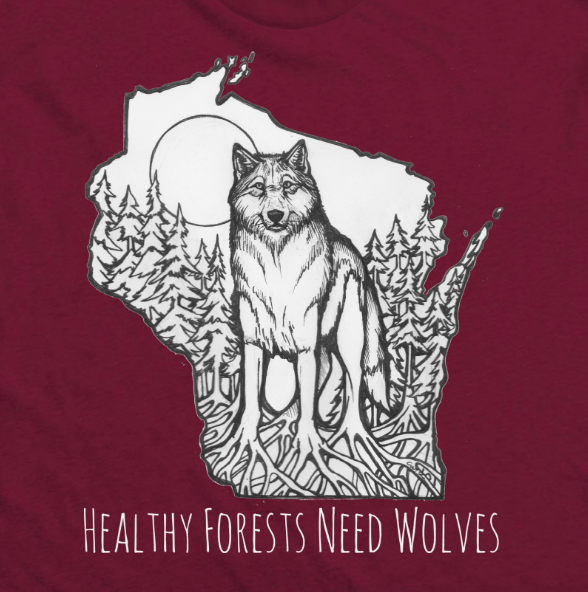 Despite the DNR’s own study showing considerable support for the wolf population statewide and in wolf country including Congressman Duffy and Congressman Kind’s districts, wolf advocates are excluded from any decision making. That is not only offensive to advocates but also an affront to democracy. All citizens should have a say and not just special interest lobbying groups that wish to have the species removed from the landscape entirely. The majority want the ESA protected, not the NRA. “I believe that Congress, especially Congressman Duffy and Congressman Kind should think harder about perspective. A total of thirteen cows were killed in Wisconsin. One calf was taken by wolves in Michigan in 2018. One. But the they voted for this, ignoring the best available science, wanting lethal control of wolves which has been proven ineffective. What they really want is a trophy hunt and to appease campaign contributors such as the NRA, SCI and hunting lobbyists. Thirteen human lives were lost in California in a mass shooting just last week, and yet calling for sensible gun control is “emotional” or “too far”? We have fires ravaging California. We have 10,000 people without power in Puerto Rico but Congress chooses to focus on wolves? “This is not what the overwhelming majority of Americans want as pointed out by the recent election.” – Melissa Smith, director of Friends of the Wisconsin Wolf & Wildlife. This a a travesty and shameful politics! Shame on your greed Duffy and Kind. You are pathetic in your representation of the minority instead of the majority and complete disregard for sound scientific evidence. Knee jerk reactions from the uninformed money mongers. The biological decline will left for your children. Uphold the endangered species act!! It is difficult to expect much else when there is a monster as POTUS, a bullying woman hater who doesn’t believe in global warming, despite all the evidence that he’s too thick to get his head round. The only thing that registers with him is power and money. God help us all, especially wildlife – and the planet! !